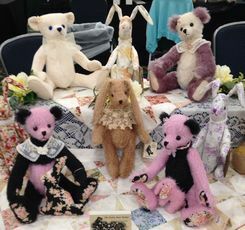 Punxsutawney Phil, weather predicting groundhog extraordinaire, might be predicting an early Spring, but some teddy bear artists couldn't wait. 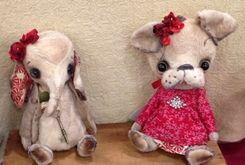 The pull of sun, fun and teddy bears was just too much and they headed down south to Tampa, Florida to ring in their own kind of Spring. 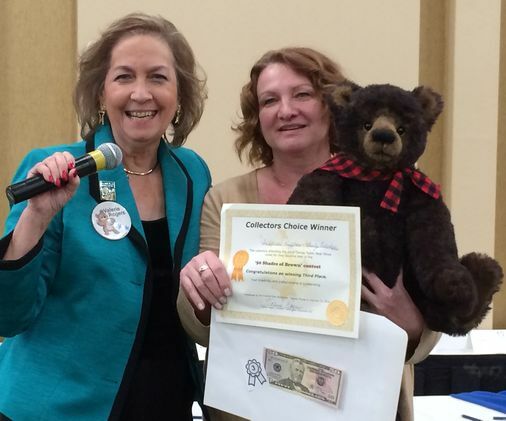 Part of the fun included a competition, "Fifty Shades of Brown," a teddy bear challenge. 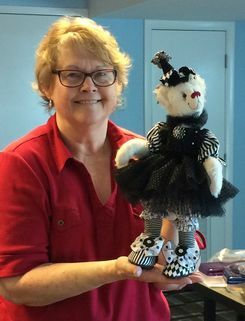 For the past several years, Valerie Rogers has issued the challenge and this year's challenge was to create a bear using any color of brown. 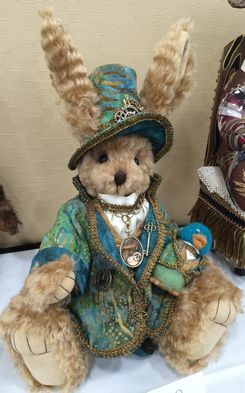 Eighteen artists with seventeen beautiful brown bears and one springtime bunny, took up the charge and showed that creativity is boundless when it comes to teddy bears. 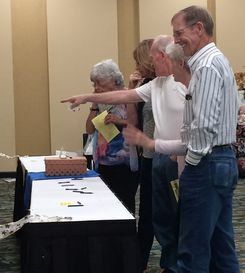 Collectors were brimming with excitement over the event and cast their votes. 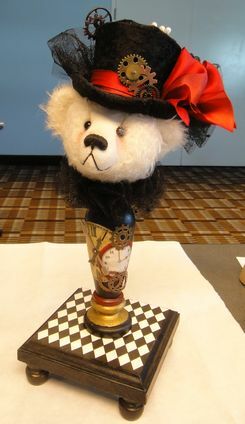 The name of the bear and artist along with the price were found on their place cards. Bears were for sale unless otherwise indicated. Many were sold but stayed in the contest to score more votes! Collectors and visitors voted for their favorite! Often a hard thing to do! 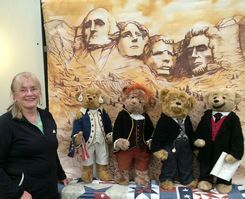 Artists with their bears, anxiously await the announcement! 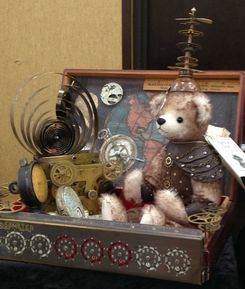 Third Place went to Isabella Hoffmann of Bearly Collectible from West Allis, Wisconsin. 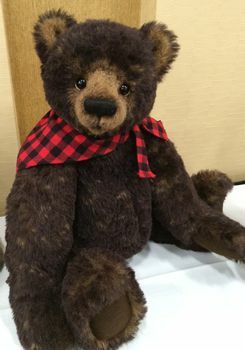 Waddington, her large dark brown bear won Third Place and she was presented with a Collectors Choice Certificate and $50.00 in prize money! 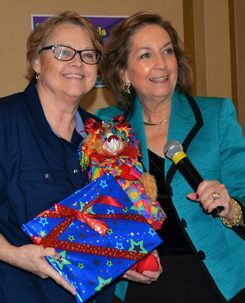 Diana Watts of DiBears, from Naples, Florida won Second Place for her brown rabbit named Burnette. She also was awarded a certificate and $50.00 prize money! 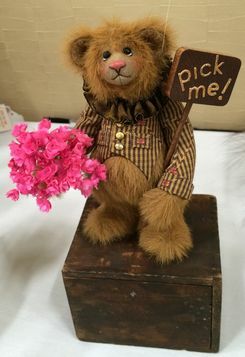 First Place went to Judy Anderson of Ashenberry from Norfolk, Connecticut for her entry "Pick Me". He held a little sign saying "Pick Me." Was he referring to the bouquet of flowers he was holding or offering voting suggestions? 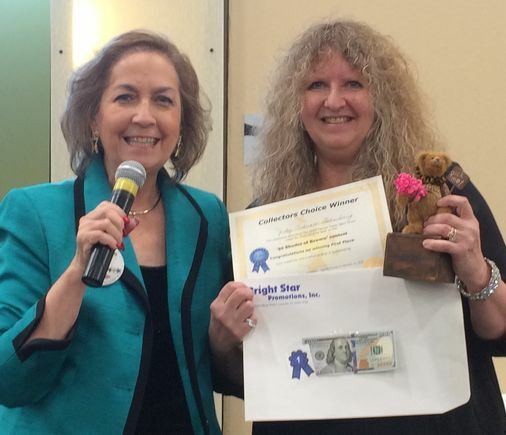 Judy won a certificate and $100.00 in prize money! Congratulations to all who entered and all who won! The creativity shown in all the entries was marvelous! 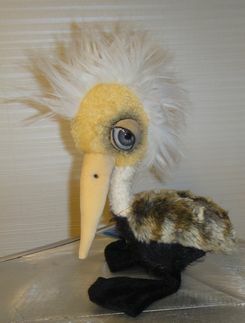 Art Rogers of Chatham Village Bears conducted a class where the students made a big eye pelican. Precise stitching to his web feet! 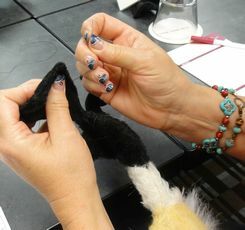 Wanda Shope presented a workshop where students made a Steampunk pin cushion. Intricate details and clock parts made the piece exciting! 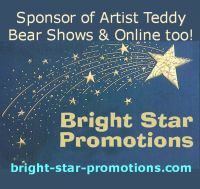 Artists submit photos of their bears to be considered for the colorful collectors invitation post card. Pizazz, was chosen for the Tampa post card, made by Wanda Shope from Yreka, California. 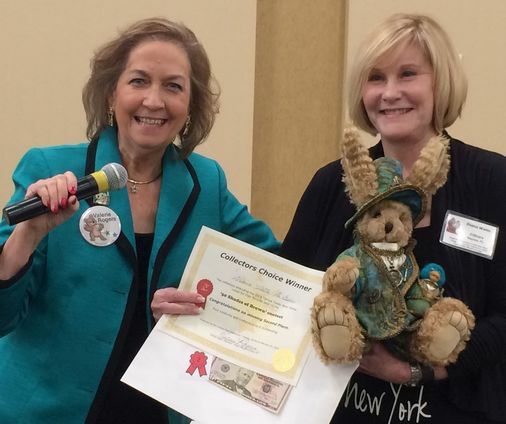 She was presented with a Winners Certificate, "I'll hang this proudly in my studio." If you did not receive a post card this year, or did not fill out a door prize ticket, just email us your name and address. We'll send you a card next year! We were so happy to see you!